If you are the kind of person who demands the best of eveything then the Sarena Bay® spa is your only choice. 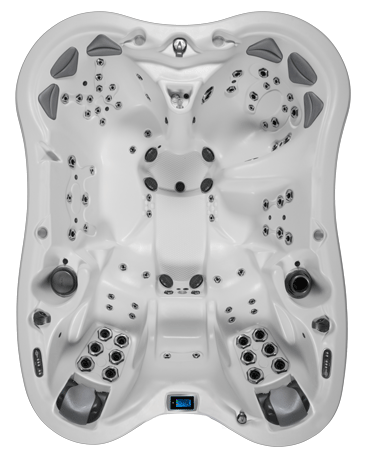 This luxury hot tub can seat 8 adults and give them a soothing, full body hydromassage with it's 82 jets. This spa features "his and her's" ultra-lounge's equipped with the Dynamic Massage Sequencer™ that has six pre-programed massage patterns for an extraordinary hydrotherapy experience. As with all of our Bay series spa's the water is filtered through our UltraPURE Plus™ hydro management system giving you crystal clean water all the time. Simply put, the Sarena Bay® is the finest hot tub available. Length: 120" | Width: 92" | Height: 40"